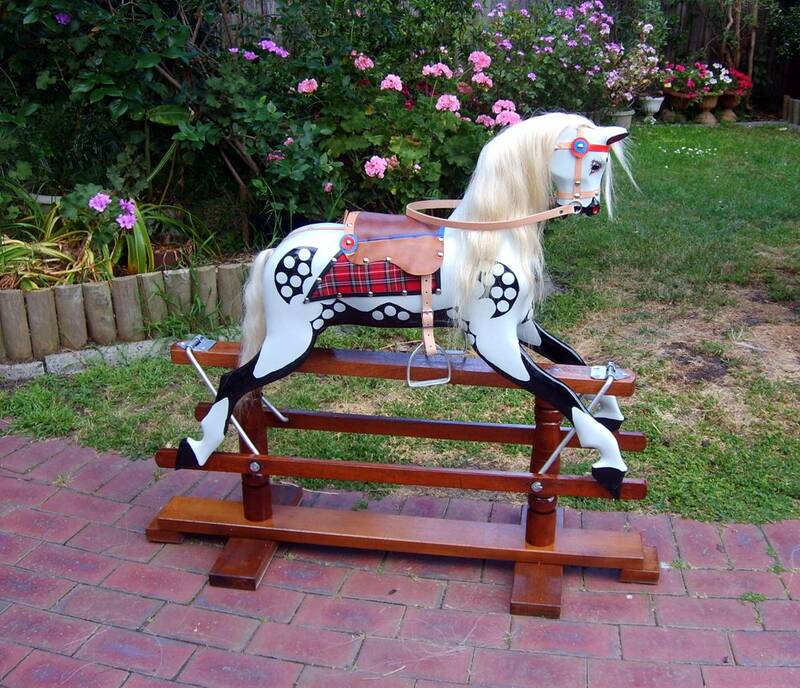 Australia’s third largest Rocking Horse maker. Lou Peets came to Australia from England; he was a Blacksmith by trade. Lou Peets set up shop underneath his family home in Market St Toowong Brisbane, just near the corner of Duke St. Being a Blacksmith, making the swing irons and clamps was hardly a challenge for Lou; who also made all of his own machinery. The horses are very well constructed; but have an unusually wide mouth opening. The Lou Peets Rocking Horses have a distinctive dapple pattern which sets them apart from any other maker. The pattern is very much “in your face”. Lou Peets not only made Rocking Horses; he made Carousel Horses as well as horses for Horse-o-Plane rides. The local bus stop was right outside Lou’s house, of an afternoon the local children used to come in when the got off the bus to watch him work, “Pop Peets” would often have little hand made toys for them. Lou Peets died in 1964; his son Laurie took over for a while, then his nephew Syd Raynor continued till 1972; however, the horses were not of the same quality as those of Lou.